Two more GURPS titles are back in print via our On Demand program! 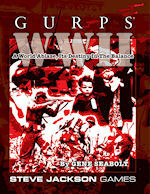 The GURPS WWII Core Rulebook is the perfect starting point for the most pivotal struggle in the 20th century. It includes a specially tailored version of GURPS Lite, so it's a complete, ready-to-play RPG. It's also an invaluable and accessible resource for bringing this conflict to your gaming table. 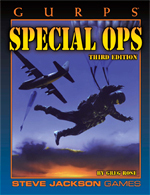 GURPS Special Ops is your guide to tactical military excursions, including behind-the-lines strikes, hostage rescue, and other special-ops scenarios. Bring these books – and other previously out-of-print classics – to your gaming table, available On Demand!